The holidays are a busy time for everyone, but even more so for a college student. From changes in the semester schedule to purchasing new books, & making the drive or flight to come home for Christmas, the costs & fees add up pretty quickly! So why not let CampusBookRentals.com make things just a little easier on your wallet during this time of the year by renting your textbooks! 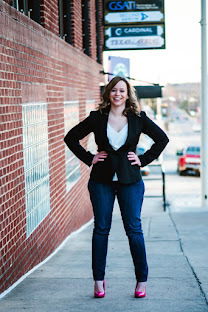 If you have a child in college or maybe your in college yourself, CampusBookRentals.com is here to help you save some money on your textbooks this holiday season! What is Operation Smile you ask? Operation Smile is an international children's medical charity that heals children's smiles, forever changing their lives. With each textbook rented, CampusBookRentals.com donates to Operation Smile. So if saving money wasn't exciting enough with CampusBookRentals.com , they have a new program called RentBack! So what are you waiting for? Save money, make money & share the excitement! 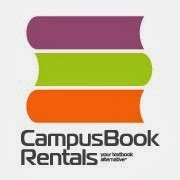 Feel free to stay connected with CampusBookRentals.com by liking them on Facebook! I think renting books for college is a great idea. You probably will never use them again and ehat a savings! I think this a great way for a college student to save money, especially since some of the textbooks are very expensive. this is a fantastic idea, i haven't been to college yet but i know all of my friends have complained about the price of a book they use for a few months and never need again. i'll have to keep this in mind for whenever i decide to finally take some classes.